Yes, my 12 year old son and I are going back after walking away two years ago. Surely only at Newcastle would/could you have more even more supporters wanting to buy season tickets after being relegated! Though a regular visitor to The Mag, this is my first article and hopefully it will see the light of day, I just wanted to have my say. First of all, I still hate Mike Ashley for everything that he has done to our (once) great football club. I won’t bother listing everything, from renaming the ground to trying to ruin the good name of legends like Keegan & Shearer, but suffice to say that despite Newcastle United having more resources (despite him using the club to promote the rest of his business empire for free) than all but half a dozen clubs and being one of the best supported teams in Europe, he has managed to relegate us twice within the space of seven years. Second, I don’t for one second think that Mike Ashley has changed his outlook in any way. It is a simple case of him being left with no choice but to employ a proper manager like Rafa Benitez and let him manage the club, Newcastle United left in such a shocking state through years of lack of investment and then employing ridiculous people to make decisions (JFK, Carver, Charnley, Wise, Llambias, McClaren, Carr, Pardew). Third, I am going back this coming season because I love Newcastle United and want to watch them play, nothing has ever changed there. 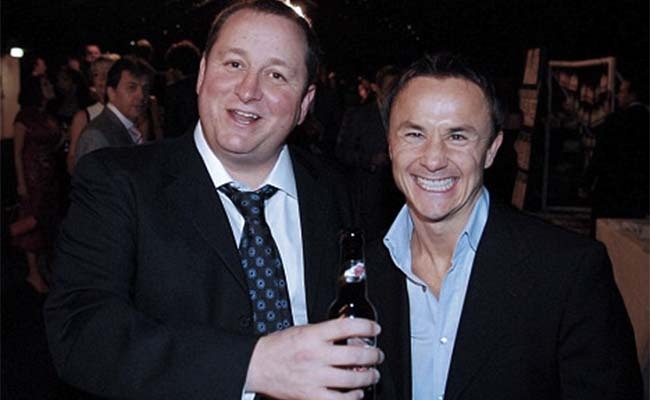 As I say, I’m not fooled by Mike Ashley, he had far too much to lose if he hadn’t agreed to all of Rafa’s demands, a return to the Premier League desperately needed for access to the TV riches, as well as the worldwide promotion of his Sports Direct empire. I was never going to allow myself to be trapped by the season by season direct debit option, no way am I letting Ashley hold me to ransom by making me decide if I’m renewing my season ticket some four months before the end of the season. Rafa Benitez is the only reason why myself and thousands of others have a little/lot renewed optimism, if Mike Ashley once again shows his true colours and drives Rafa out of the club next summer, then I’ll not be renewing my season ticket. So long as Rafa Benitez is at St James Park we can be assured he is being allowed to get on and do the job properly, if anything changes then I have every confidence that just like Kevin Keegan before him, he will walk. He is a man of integrity, the same as KK, not like the disgraceful, grasping individuals such as Pardew, McClaren and Carver, happy to go along with anything just so long as they were looked after. Going back to the matches after boycotting for two seasons isn’t caving in, it is recognising that in employing Rafa Benitez there is hope of better times to come and a football club that isn’t a byword for disgraceful embarrassing behaviour. In Rafa we trust and as for Mike Ashley, I wouldn’t trust him as far as I can kick him.